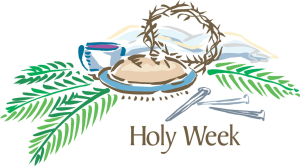 Saint John Bosco Catholic Church – This Sunday is Palm Sunday – and Holy Week Begins. This Sunday is Palm Sunday – and Holy Week Begins. Six weeks ago, with the marking of our foreheads with ashes, we began a journey. One that needed prayer, fasting and almsgiving to sustain us. A journey that required each of us to look within. To see where we experience God in the ordinary rhythm of our lives. To see where change might be needed. To look upon Jesus as our model, and to surrender ourselves to God’s will, and a deeper cooperation with God’s grace. To grow in holiness. This Sunday is Palm Sunday of the Passion of the Lord. I encourage you to celebrate Palm Sunday with your parish community. You are welcome to join us at Saint John Bosco for Mass this Saturday evening at 4:00 pm or this Sunday morning at 8:30 am or 11:00 am. Think about attending daily Mass, if you aren’t already doing so, during these final days of Lent. At Saint John Bosco we are celebrating Mass during Lent on Monday and Wednesday mornings at 7:30 am, on Tuesday and Friday afternoons at 12:00 noon, and on Thursday evening at 7:00 pm. Stations of the Cross will be prayed this Friday evening, April 12th at 7:00 pm. 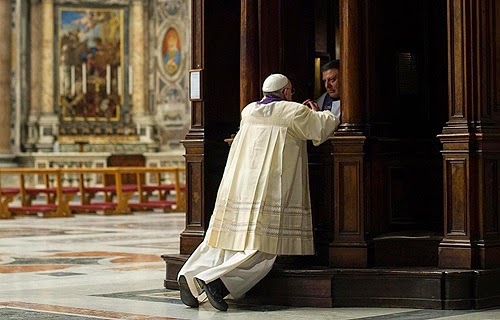 Experience the forgiveness of the Lord in the Sacrament of Reconciliation (Confession) before the Sacred Paschal Triduum. There will be a Communal Penance Service, with 8 priests available for individual confession, at Saint John Bosco on Monday evening of Holy Week, April 15th at 7:00 pm. It might even be necessary to renew the commitments you made as you began your journey through Lent – so that you can be faithful to them for the remaining days of Lent. Lent ends on Holy Thursday evening and the Sacred Paschal Triduum begins with the celebration of the Mass of the Lord’s Supper. “Triduum” comes from two Latin words, tres and dies, which means “a space of three days.” But since we have four days – Holy Thursday, Good Friday, Holy Saturday and Easter Sunday – the “three” might be a little confusing. The confusion is cleared up when we understand how the days are calculated. On all high festival days, the church counts a day the same way as Jewish people count high festival days, that is, from sundown to sundown. Thus, the Triduum consists of three twenty-four-hour periods that stretch over four calendar days. It begins with sundown on Holy Thursday with the Mass of the Lord’s Supper, and concludes with Easter Evening Prayer at sundown on Easter Sunday; its high point is the celebration of the Easter Vigil. On these sacred days we do not simply recreate the events of Christ’s life. We do not move from the Last Supper on Thursday, to Christ’s death on the cross on Friday and to His resurrection on Sunday morning. Instead, we celebrate one event – Redemption. Salvation. And each day of the Triduum a different facet of this event is remembered. All of them together – form the celebration of our redemption. On Palm Sunday we will celebrate Jesus’ entry into Jerusalem. That celebration gives us a glimpse of the different elements of these sacred days. First, there is joy and celebration. In a sense, Jesus was coming into His kingdom and being acclaimed as a King! But, he is a different kind of King. One who will give his life for His people. And beneath that festive mood there is tragedy. Jesus knows that quite soon the very people who acclaim Him will denounce Him. He has no illusions; He is traveling toward His death. In your prayer during this Sacred Paschal Triduum, allow that story to guide you. Experience the many different feelings here. The joy, as well as the terror and sorrow. Remember in your prayer that Jesus is going to His death so that you and I may have resurrected life. On all of the calendars in all of human history, next week is the one week that changed absolutely everything. It is the week that we were told to be servants and saw the institution of the Eucharist. It is the week that witnessed breathtaking betrayal, denial, torture, heartbreak, suffering, and death. 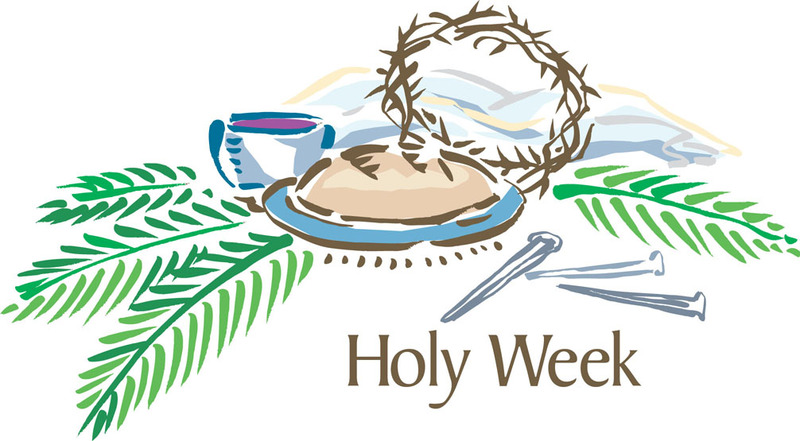 It is the week that would lead, ultimately, to resurrection and new life – redemption and salvation. So, I urge you to be intentional about taking part in the Sacred Paschal Triduum. Make the extra effort to be there each day. Celebrate the Holy Thursday Mass of the Lord’s Supper at your parish. 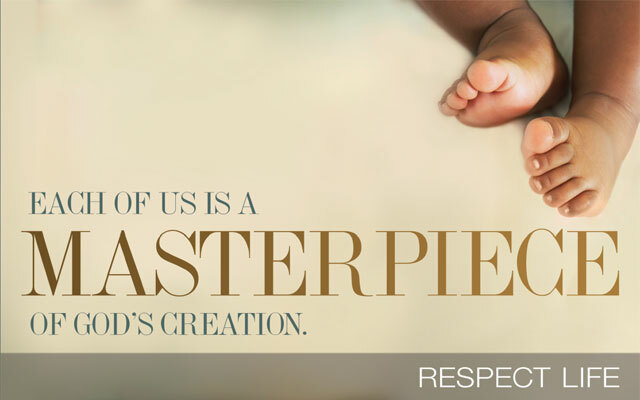 That Mass is at 7:30 pm on April 18th at Saint John Bosco Parish – and you certainly are welcome to join us. After that Mass, there will be Adoration of the Blessed Sacrament in our Eucharistic Adoration Chapel until 10:00 pm – when we will pray Night Prayer. Be there on Good Friday, April 19th, to participate in the Solemn Celebration of the Passion of the Lord with the community of believers to which you belong. Reflect on John’s Passion story, pray for the people of our world and all of our needs, join in the adoration of cross (at Saint John Bosco we use a cross with a relic of the true cross), and receive Holy Communion. That celebration is at 3:00 pm at Saint John Bosco Parish – and again, feel welcome to join us. At Saint John Bosco, we will pray the Stations of the Cross at 12:00 noon on Good Friday. At Saint John Bosco, the Blessing of Easter Food will take place at 1:00 pm on Holy Saturday, April 20th, in the church. Decide now which Mass on Easter you will join with your parish community in celebrating the Resurrection of the Lord Jesus. The Easter Vigil Mass at Saint John Bosco is at 7:30 pm on Saturday, April 20th. At that Mass 6 individuals will be baptized, and 7 individuals will make a Profession of Faith to be received into the Full Communion of the Catholic Church. All of them, with the exception of one child who will be baptized, celebrate the Sacrament of Confirmation and received Eucharist for the first time. This celebration really is the highlight of the Sacred Paschal Triduum – and I encourage you to join us as we welcome these new members into the Catholic Faith! Easter Sunday Masses at Saint John Bosco Parish are at 8:30 and 11:00 am. I invite you to come, join us in giving thanks to God for the greatest gift given to us – Redemption! Come, celebrate Easter with us. Question – How will you be celebrating the Sacred Paschal Triduum this year? 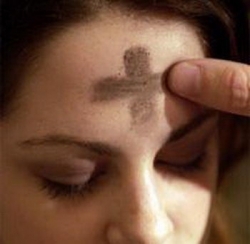 Are You Ready For Lent 2019? 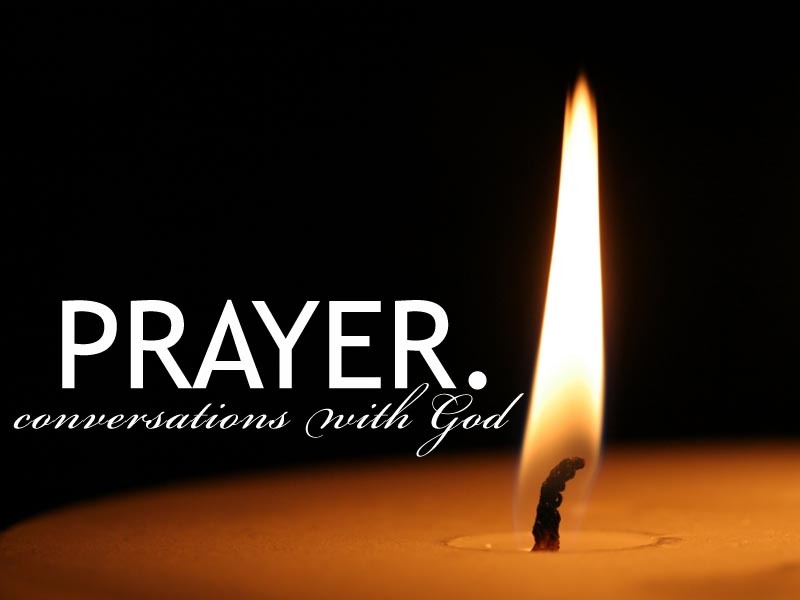 Prayer and Some Obstacles That Seem to Get in the Way. Tuesday, January 22, Is A Day of Prayer and Penance. 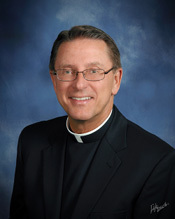 Through this blog, I hope to engage with you about the many blessings we share in parish life.